The coax motor kit will allow you to install a coaxial motor configuration on your multirotor with the AIMDROIX aluminum arms. This will increase your lift power and also the redundancy, as you can loose one motor of each arm and still be able to land safely. Using a coaxial configuration increases the stability when flying in windy condition. The motor plate attachment holes are countersunk, allowing to use any OD size motor that has mounting holes from 16mm to 25mm. Each coaxial motor mount kits comes bagged separately. The plates and standoffs are made out 6061 aluminum. 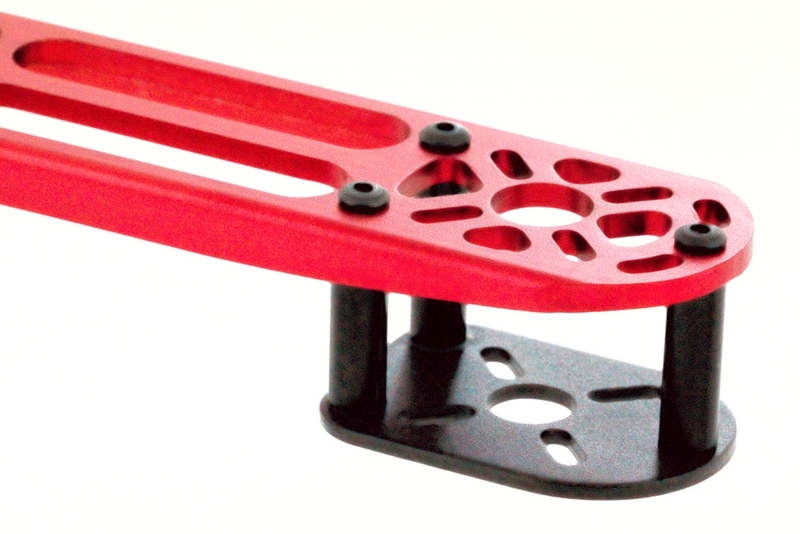 1 black anodized aluminum motor plate. 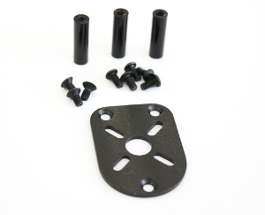 3 black anodized aluminum standoffs. 3 flat head M3 screws. 8 M3 x 6mm Button Head screws. These are also used as the motor screws.